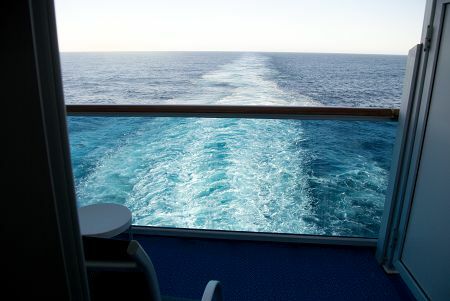 We spent much of the first day in our cabin - looking at this soothing picture off our balcony. 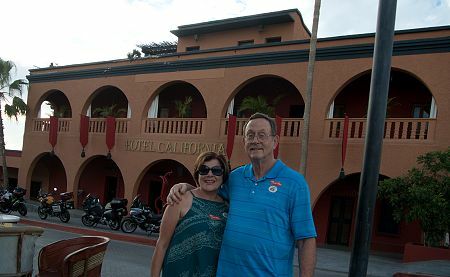 Once in Cabo San Lucas, we took a bus to the Hotel California in Todos Santos. We are still here so, obviously, we didn't check in. 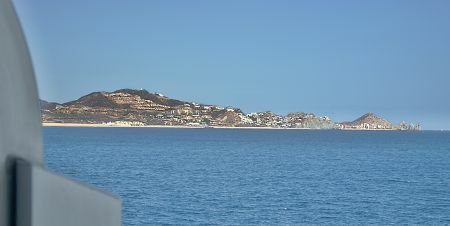 Todos Santos is a single-main street town about half way between Cabo San Lucas and La Paz. Leaving Cabo you can just about see the famous arches at the end of the Baja pennisula - a better view is shown on the main Vacation page - and you can see all the development the city is undergoing.